To sign up for information on next year’s event, please fill out the form below. "I'm very fortunate to be part of a night like this where we embrace diversity, equity and inclusion of all others. To have respect for people of different cultures, people of different backgrounds, different heritages, different frames of reference. Here in Portland it's something that sets us apart, and certainly it's important that we're all in this together." "Your support for our community wasn’t bashful. It was EVERYWHERE. It was on the screen with a welcoming message about Pride Night. It was at the pre-reception with the rainbow swag and fanny pack and noisemakers. I felt like, ‘THIS. 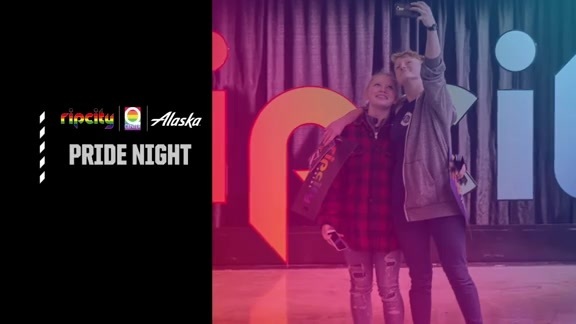 This is the Blazers I can get behind and believe in.’"
A look back at this year's Pride Night celebration at Moda Center. 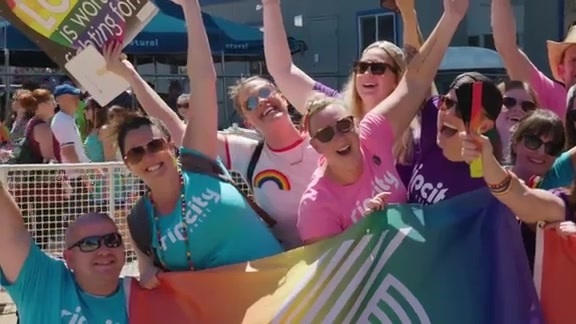 A look back at the Trail Blazers day at the 2018 Portland Pride Parade. We are Trail Blazers. We are pioneers and innovators. We make new paths and lead the way. We are Rip City. We are committed to advancing diversity, equity, and inclusion within our organization and our community. *Gilbert-Font use licensed under the Creative Commons License.